How do you find a real estate deal in Miami??? Do you sometimes think that a little "pied a terre" in Miami would make your life happier, and sunnier? Then you should keep on reading to make your dream become a reality. Of course you always want to be very knowledgeable before investing anywhere in the world. In Miami you have to know a few basics to buy a condo. You’ll see everything is so much easier and transparent than in Italy. This guide will teach you the tools at your disposal and the local procedures. 1. Why buy in Miami? Before finding a deal for you, let’s quickly sum up why you should consider buying a condo in Miami. First and foremost it’s a safe investment with little to no risk. Then Miami offers a good capital gain and properties are still at this time cheaper than any other capitals in Europe. You can still buy in a new and front line building with fantastic ocean or bay views. Finally but very important if you want to spend some time here the quality of life is exceptional. The first step to find a deal is to have a good team working for you, especially when investing abroad. Everyone works hands in hands and will provide you with the best service. A good realtor will give you experienced and up to date advice. He will also guide you to other professionals (inspectors, lawyers, property managers, accountants) with the same ethics. Please remember that your realtor represents you and the seller is represented by another realtor so that each has your best interest in hands. The seller is the one who pays both realtors at closing. A good lawyer will introduce you to the real estate law but above all he will be your confident. He will make sure the law protects you and your investment. He will check any liens on the condo, any issues with the building and will issue for you a title insurance. When you start visiting condos, focus first on the location and the building rather than the unit itself. There are plenty of units for sale in every building so during your next visit you can focus on which unit is the best investment. Once you have identified the building ask your realtor to give you the last sales in the building. This will give you an idea of how much every unit has been selling for in the past months or years. Then tell him you want a list of everything that is on the market for sale at this time. Finally ask him the history of the unit you like so you know for how long it’s been on the market and how much the previous owner bought it for. Once you have gathered all this information you are ready to make a deal on the property you want. Remember that you can do multiple offers on different units and check who will respond with the best price. All offers have to be in writing because that’s how we do it here but also because it is more enticing to a seller to see that you went thru the hassle of preparing seriously an offer. You can make a low offer but make sure it’s down to earth so that the seller gets in the negotiation game and doesn’t drop the ball. Other items on which you can negotiate are the closing date (the sooner the most appealing for the seller), the terms (cash or financing), the inspection period (the sooner it ends the better for the seller). Having all the data in your hands, do not hesitate to use it against the seller. The last sale in that building was 3 months ago and $50,000 less than what the seller is asking? Perfect use that information. When you’ve been thru a few back and forth I usually tell my buyers to slow down the responses so that the seller fears of having lost you. We are in a buyer’s market so you are the king. Use words such as “final offer” to make it more dramatic. Once you have your deal under contract don’t forget to send an inspector even if the unit is in mint conditions. He will find something wrong and you can negotiate again with the seller so that he gives you a credit at closing for repairs. I am sure these hints will help you in finding the perfect condo for the best price. While the rest of the country is freezing out, Miami is having an outstanding weather right now. There is no better time to enjoy the outdoors activities and events for the month of February. This month, I will show you some super interesting facts of Miami that will prove to you we are not only a tourist destination. I will also show you some stats of the promising neighborhood of Downtown Miami. It seems sales are through the roof! As always, I'll give you a restaurant and events suggestion that you can't miss! Are you planning to buy in Miami? Scroll down to see the best deal now at the Yacht Club at Portofino. Hope you enjoy this newsletter and I wish you all a Happy Valentine's Day! Spring break is here, and there is no better place to enjoy the best out of it than in Miami! If you are in Miami or planning to come, you will be enjoying the most diverse music festivals you could ever imagine. The city will be full of music, dance, and of course, lots of fun.The weather couldn't be better and it is the best time to enjoy the city. In this month's newsletter, I will introduce you to my latest edition of Condo News Miami. Discover our own deal-tracker. Do you want to know which is the most expensive price-tag purchased for a house in Miami? Read more and find out! We know that a lot of you that are planning to come to Miami and you are tired of not finding what you are looking for on Airbnb, so we decided to give you a large list of options. And last, but not least, the deal of the month, definitely it is something you can't lose. 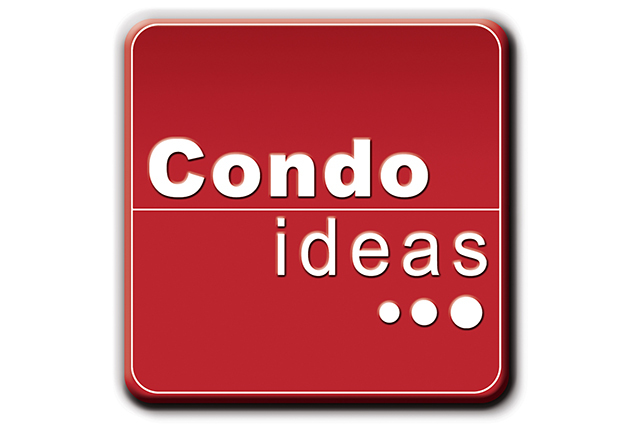 Condoideas Realty Group-Newsletter April 2019. If you aren't already down here, it's time to plan a springtime trip to Miami! The flowering season is here and Miami is blossoming like never before! A month full of activities, events, but most importantly real estate news! This month we invite you to have a look at the worldwide luxury residential market performance in 2018. Let's dig together on how Miami luxury real estate is doing compared to the rest of the world. Another topic which a lot of people always ask me is whether renting is cheaper than owning. Check out our answer hereafter. Like every month, I will give you my personal events/activities recommendations followed by the restaurant of the month! You should definitely give it a try... So scroll down and discover it! And finally, our deal of the month is certainly something you shouldn't miss!